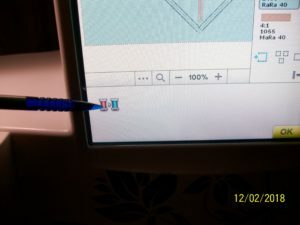 In honor of National Embroidery Month, I thought I would take a moment to talk about stabilizers. 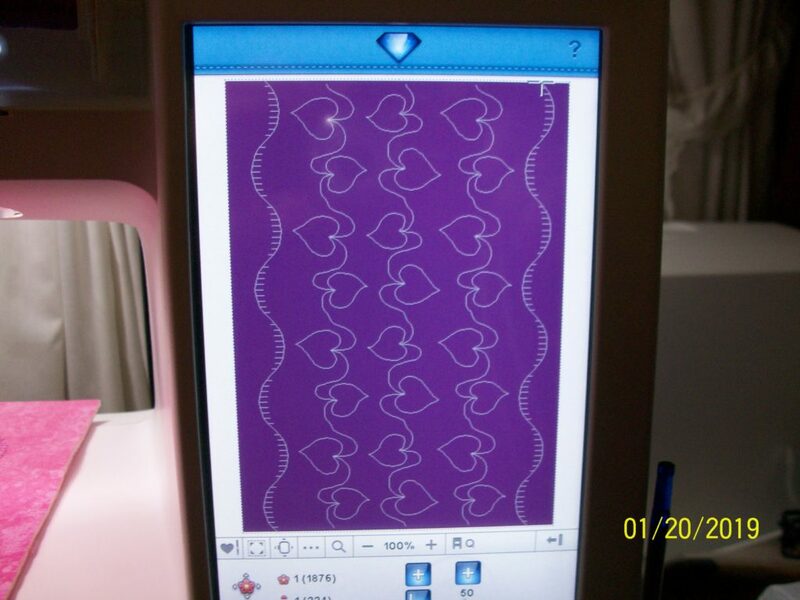 Whether you are quilting on Silk Dupioni, adding decorative stitches to a woven fabric or creating a machine embroidery design on a project, your fabric will need to be stabilized in some way. 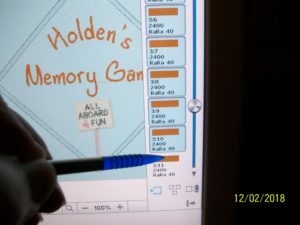 To say I can tell you the best stabilizer choices for every project would be unlikely, since there are entire books written on the subject, but I can give you some guidelines that help me. 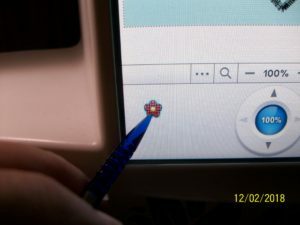 First of all, if you are using a machine to stitch on fabric with anything but the most basic of stitches, you will likely need to stabilize the fabric in some way. 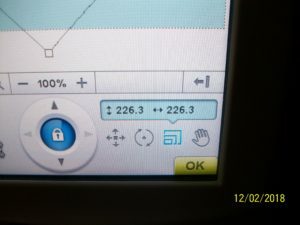 How can you tell if you need to do this? 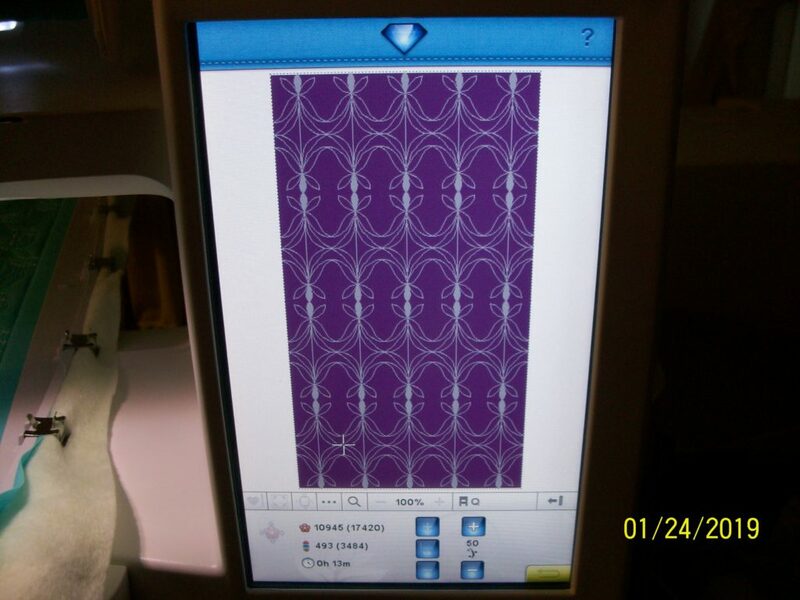 Test the stitches you intend to use on the fabric without using anything to stabilize it. Does the fabric pucker? Then you need to use a stabilizer. “What kind of stabilizer should be used?” is usually the next question. Generally, if your fabric is tightly woven, with no stretch to it, you can use a good quality tear away or wash away stabilizer. 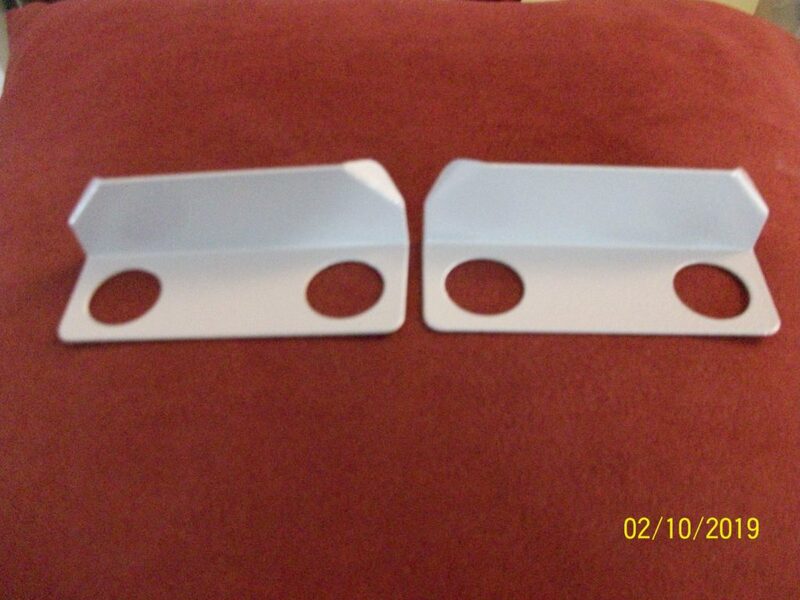 If your fabric has stretch, you should use a good quality cut away stabilizer. 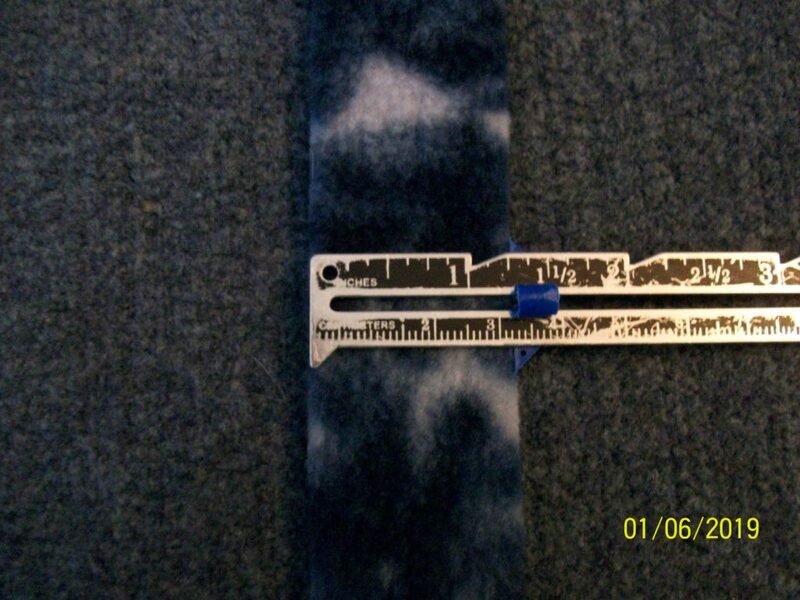 Stretch fabrics include any fabric that has some “give” to it, such as denim. Fabrics don’t have to contain Spandex to be considered a stretch fabric. Once you know this basic rule, you may start to buy stabilizers that will most closely fit your needs. I tend to purchase light weight stabilizers and then use multiple layers if I need a heavier stabilizer. Just a note, when using multiple layers of stabilizer, I always use a basting stitch first to hold everything together while the stitching is going on. 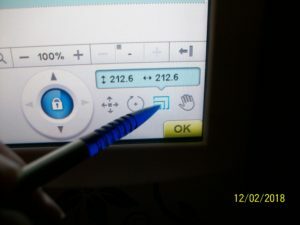 This reduces the chance of the stabilizers slipping under my embroidery hoop or from under the fashion fabric. 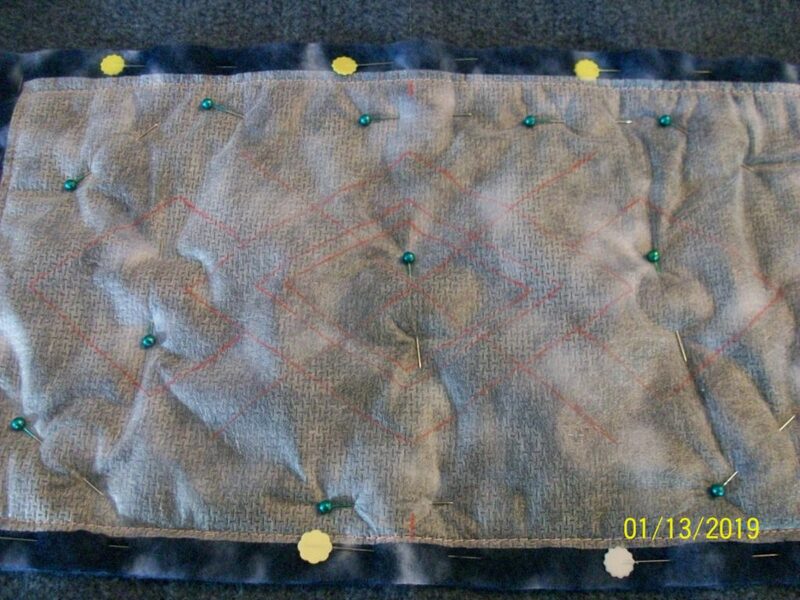 If the back of my embellished project will not be seen, such as for a lined garment or pillow, I always use cut away stabilizer, regardless of the project’s fabric type or weight. This is especially true if I know the project will be washed frequently. 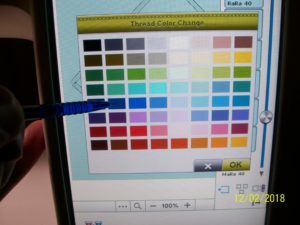 One last thought….if you are working with a variety of fabric types, you will need to acquire a varied collection of stabilizers. That’s just part of the art. My excitement over using scraps for zippered bags last weekend led me in some new directions this past week. The first bag I made was truly made from a small scrap which did make it a little trickier to sew. This bag was from a small scrap that limited my decorative stitching and proved tricky to sew. This week I started thinking about the bags, not as quilted bags, but as bags made from created fabric. It’s a bit different since quilting is not usually meant to be seen as the star of the show. I began using the decorative stitches and embroidery quilting designs on my machine to create fabric, which I then made into bags. The stitching did become the star of the show! A subtle difference, but a difference none the less. My favorite bag, so far, is the material I created using tone on tone fabric and thread to stitch out one of my machine’s omni motion sewing stitches. I programmed two flowers; one upside down and one right side up. I then simply repeated that pattern over the whole area of the fabric. My omni motion flower, right side up. 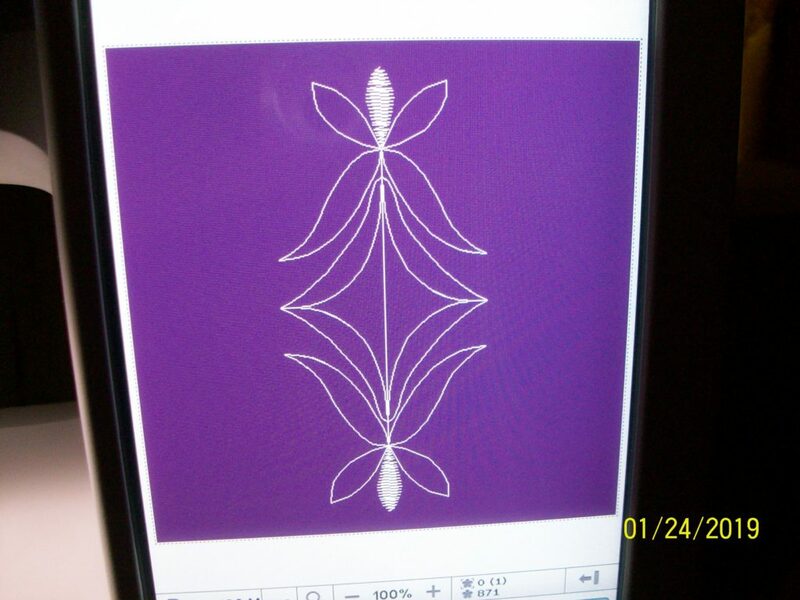 The same omni motion flower: one upside down and one right side up. The same two flowers repeated over and over form a new pattern of their own. The flower pattern as it’s being stitched out. Also, to make the bag more appealing and easier to sew, I used one fat quarter for each lined bag. I simply cut the fat quarter in half and put one half under the batting for the lining of the bag and one half on top of the batting for the outside of the bag. One half of the fat quarter on top of the batting and one on the bottom. 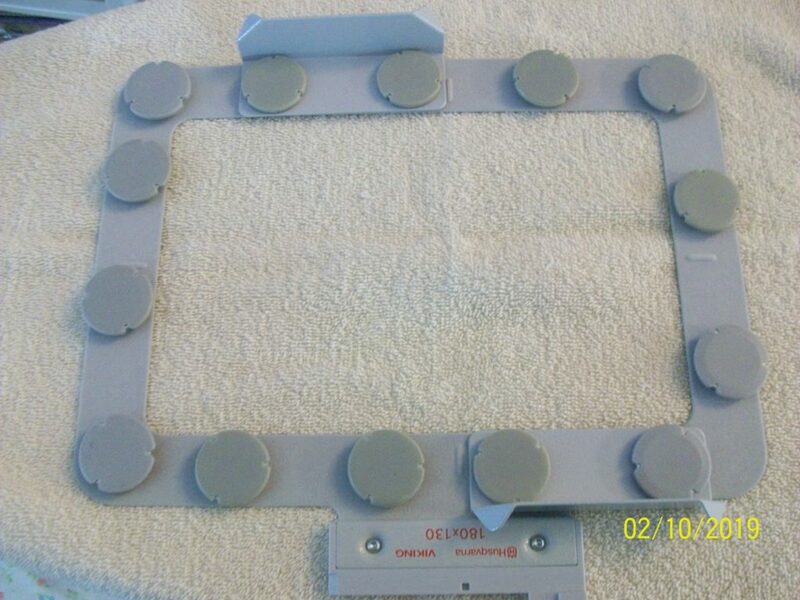 This produced a 7″ X 7″ bag. My finished bag was actually 7″ x 6″ because I chose to square the bottom so it will sit up. For the fat quarters that were prints, I simply programmed my wide stippling stitches from my quilt stitch menu and stitched them in lines. 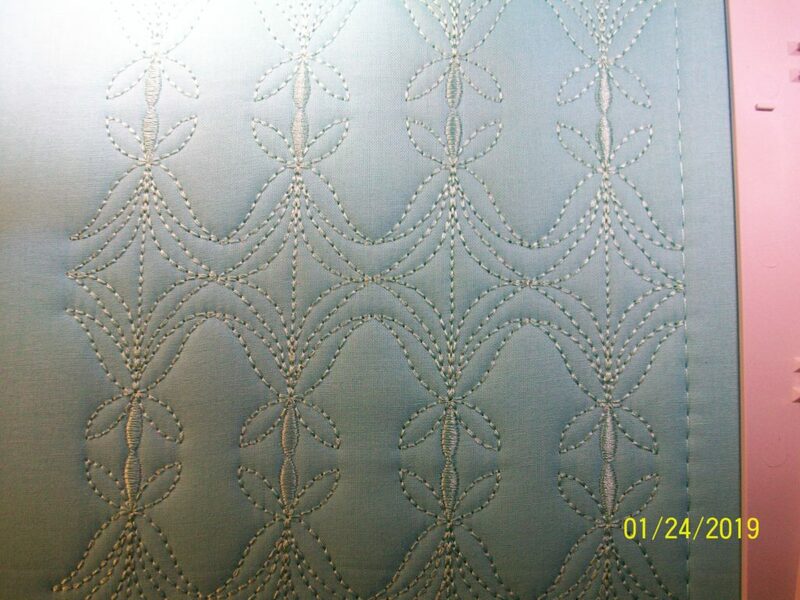 Since the fabric is already a print, the stippling appears to be random. 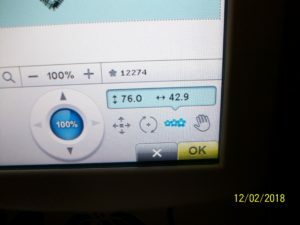 This wide stippling stitch comes from the quilting menu of the sewing side of my machine. Fabrics with prints simply get a stippling stitch added. Here I’m quilting the fabric, not creating the fabric. and the back. I’m much happier with the look of this bag over last week’s effort. 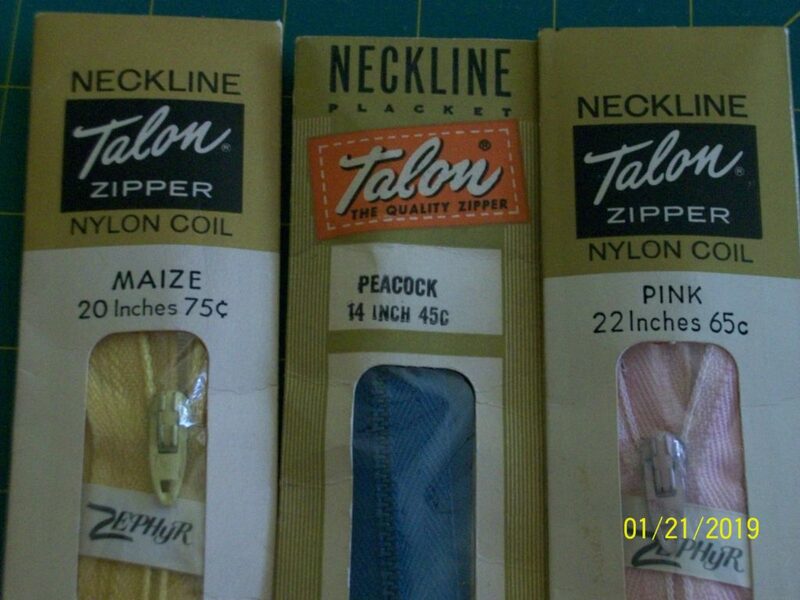 For these bags I’m getting to use up some zippers I inherited. Check out the prices!! I’ve decided to create the fabrics for all of my bags at once and then sew up the bags assembly line style. Once they’re all finished they’ll go into my gift giving bin and wait for the holidays! What type of fabric might you create this week? Since it was so cold outside today, I decided it would be a good day to stay inside and re-organize the sewing room. I do realize that to really do a good job, I would need much longer than just a day, but a dent is still a dent! I came across some cotton scraps that I had put in a bin for another day. Today was the day. 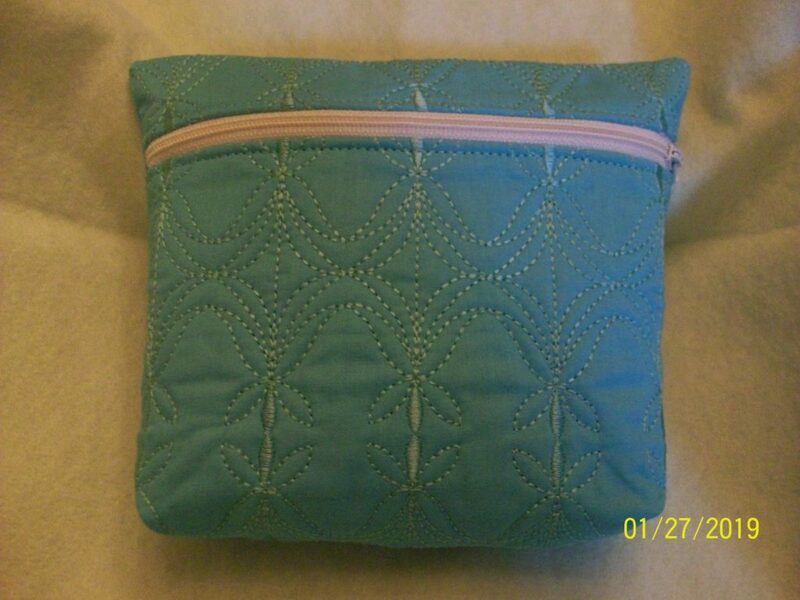 I found some zippers and scrap batting and started making lined zippered bags. 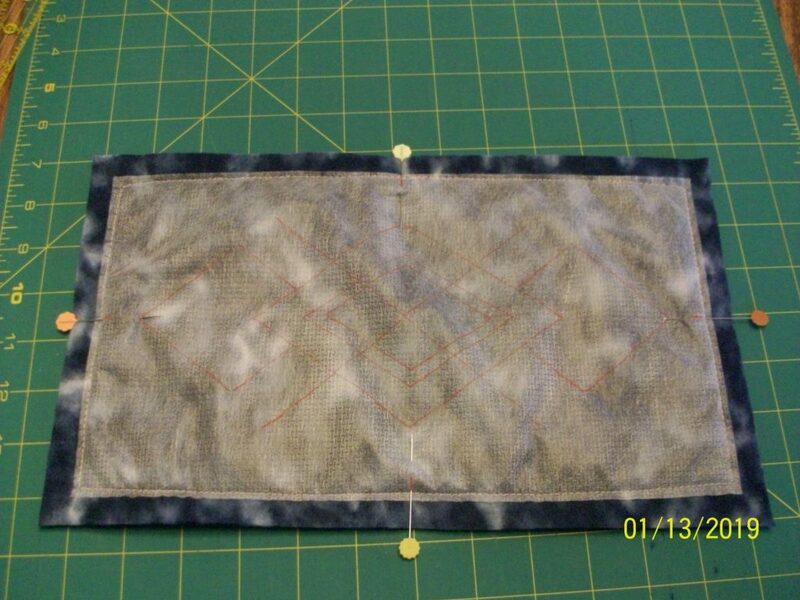 I bring this up because this is an excellent project for using, not only your scraps, but the decorative stitches on your machine. 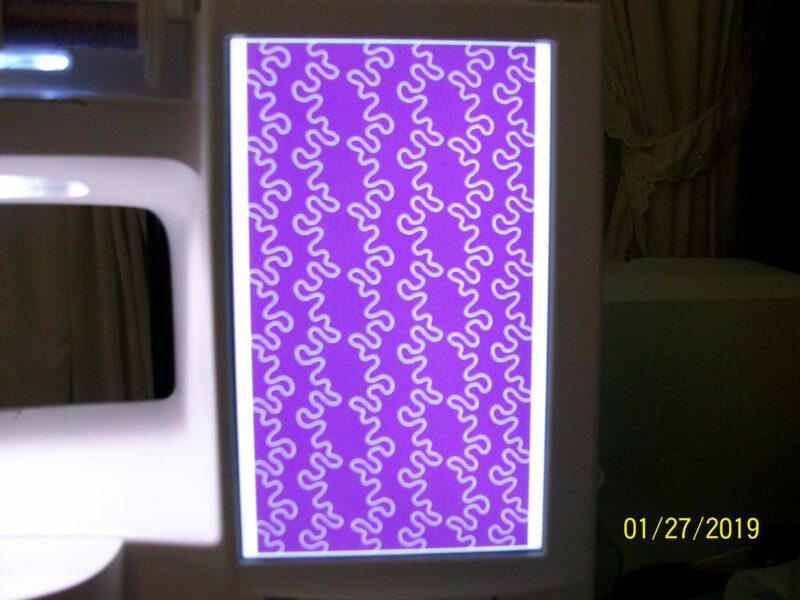 I decided to use the programming abilities on my machine to bring quilting stitches into embroidery and then stitch them out as one design (which literally took 4 minutes to stitch out), but you could easily use your decorative stitches without using any embroidery capabilities at all. 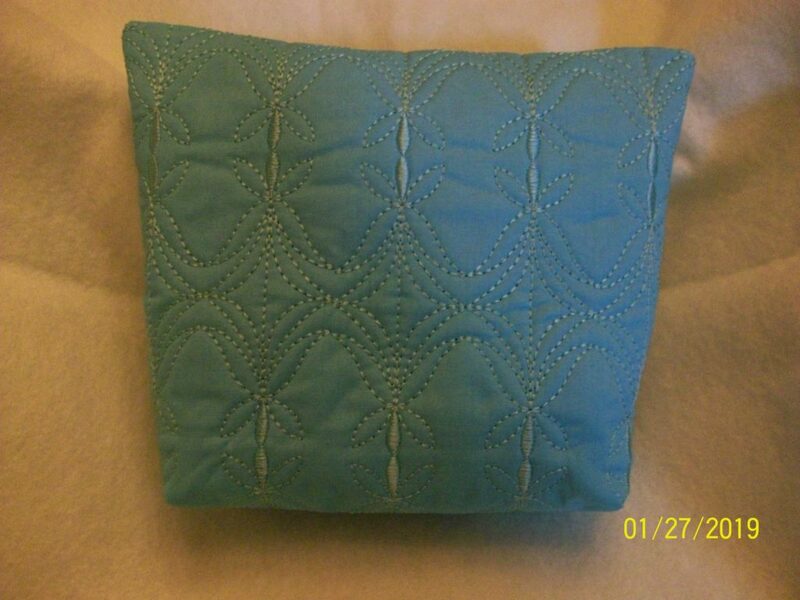 I chose to use a simple arrangement of two different decorative quilting stitches. I finished the stitching, trimmed up the batting and fabric for some straight edges, added the zipper, sewed up the sides and I was done. The entire project, cut out to finish was exactly an hour. I’m thinking this might be a good thing to sew for the holidays next year! 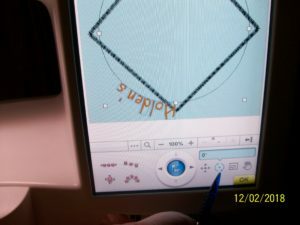 I chose to use the embroidery side of my machine, but you could use decorative stitches to create your fabric without having an embroidery machine. 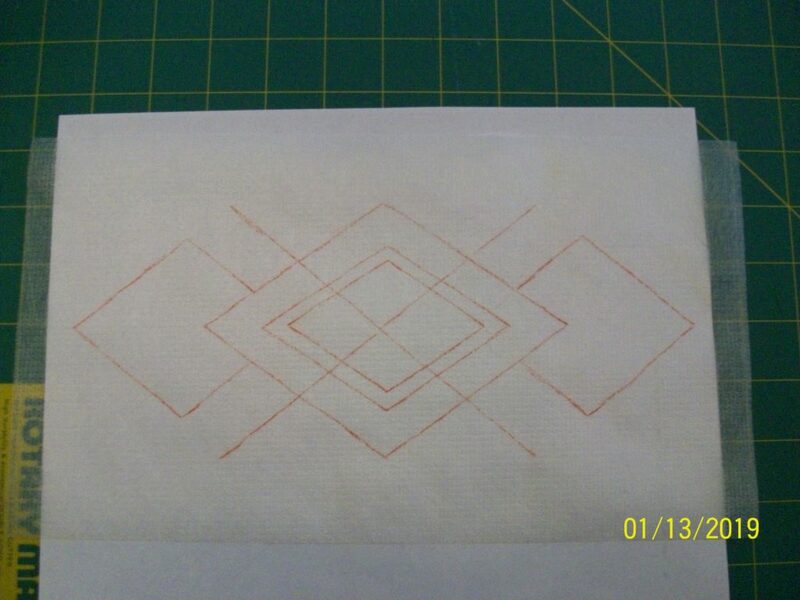 These are the two quilting stitches I used for the quilting of the lined zippered bag. 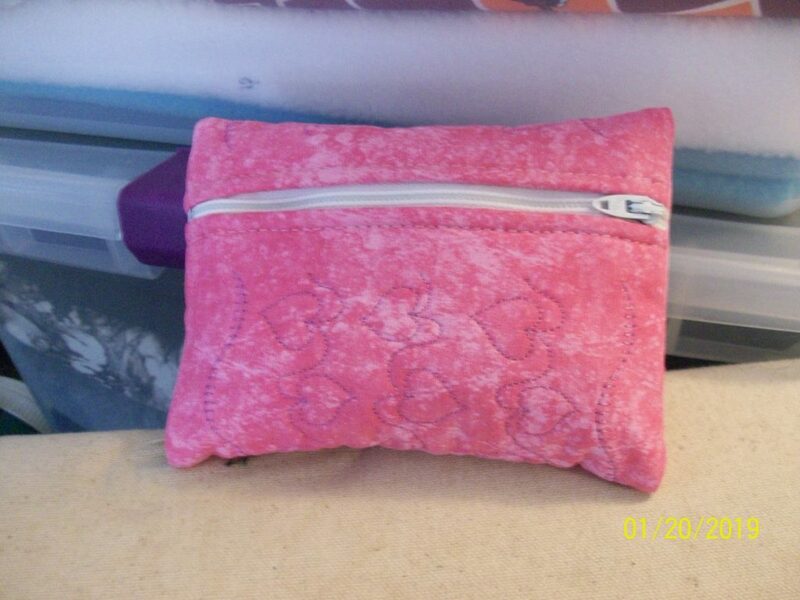 A fun little zippered bag. Next time I think I’ll try quilting horizontally. 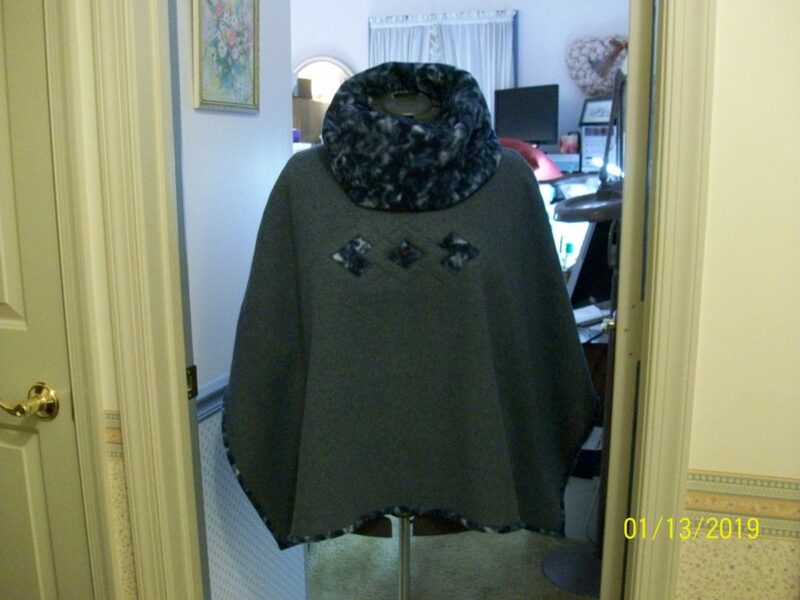 Last week I was making a poncho and using left over fleece to create the neck and binding. I still had more fleece left, so I decided to add an embellishment to the front of the poncho. 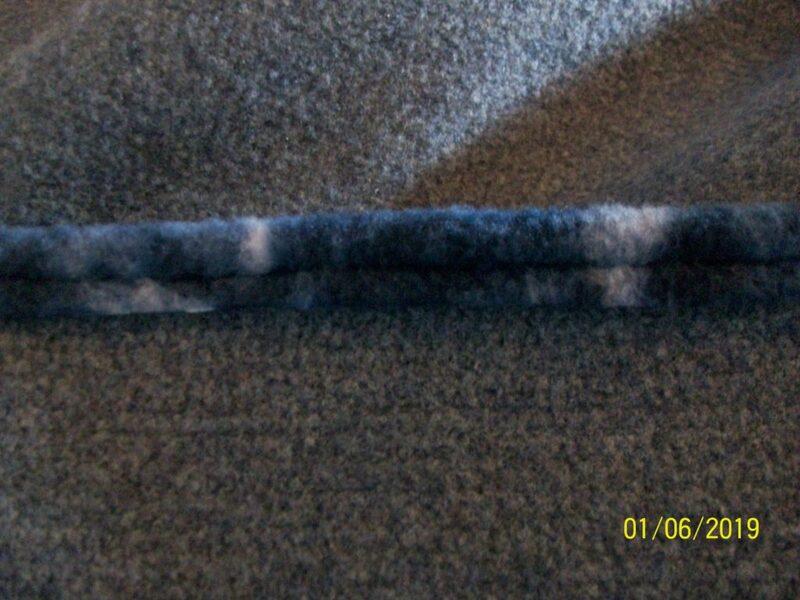 I wanted something simple since fleece has a large amount of stretch and can easily be distorted. I decided applique would be perfect, but a traditional applique would put a lot of stitching on an already high loft and stretchy fabric. I decided on reverse applique. If you have never tried it, I highly recommend it. Instead of adding fabrics and sewing them down, you sew fabric down and then cut away the top layer of fabric to reveal what lies beneath. Let me share my process with you. I looked through some books I have and came across this simple design from Mary Mulari. I chose the design I wanted and then traced the design onto a piece of light weight cutaway stabilizer. 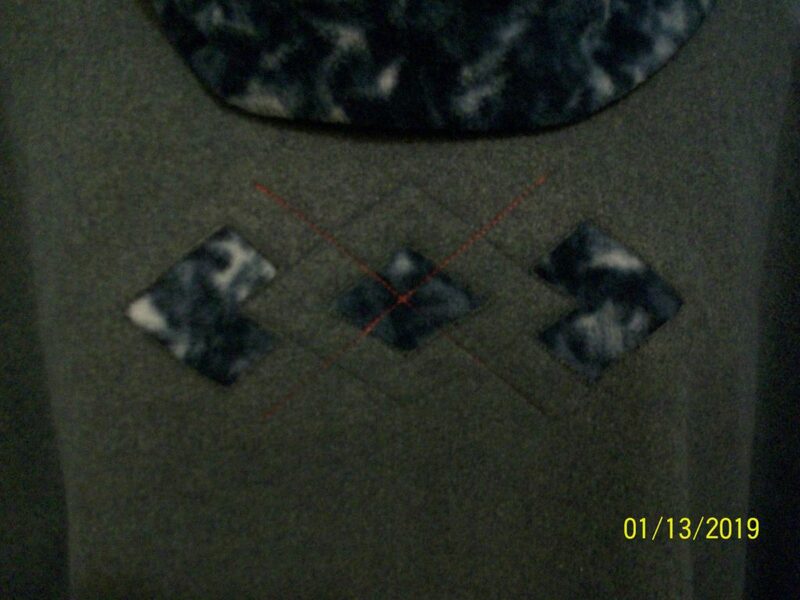 Once the design had been traced, onto the stabilizer, I attached the stabilizer to the wrong side of my embellishment fleece. 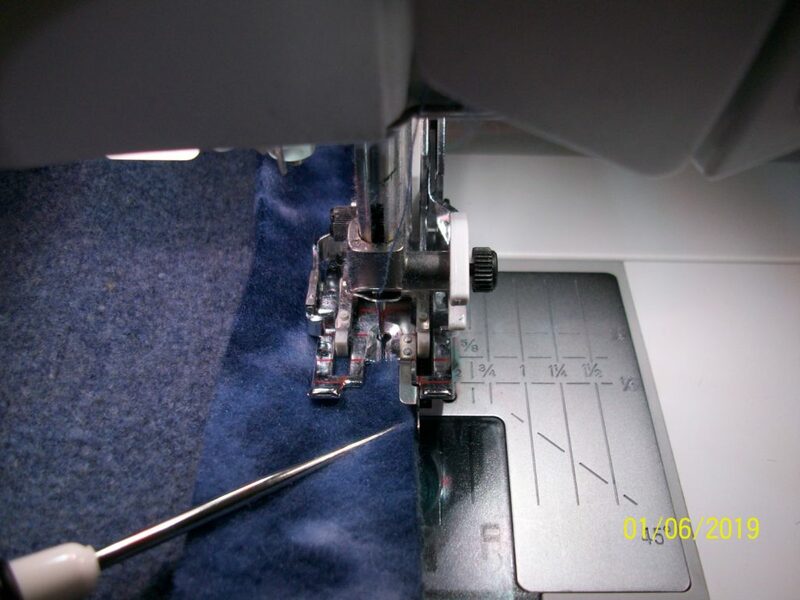 Attach the stabilizer to the fleece accent fabric by straight stitching around the perimeter. Mark the horizontal and vertical centers. 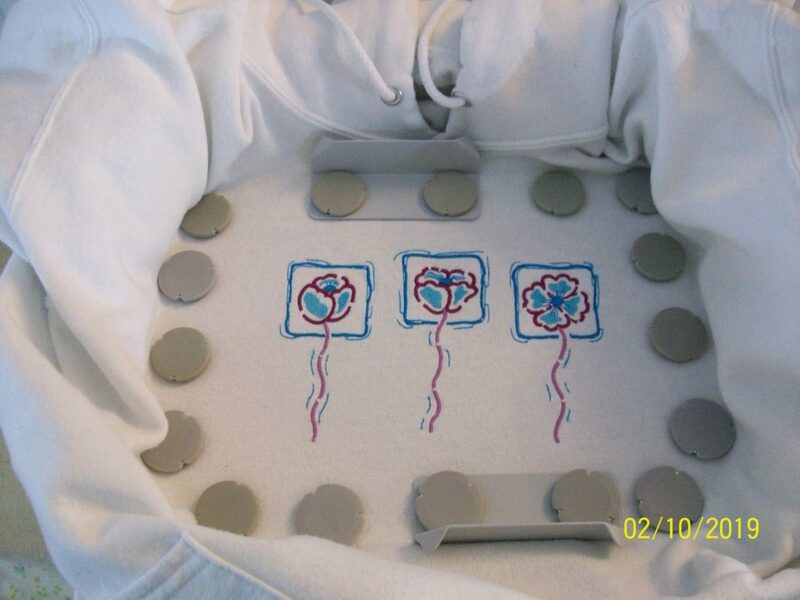 I then attached the stabilized piece of fleece to the wrong side of the front of the poncho, lining up my vertical and horizontal centers with the markings I had placed on the garment. Make sure you use lots of pins to keep everything from shifting! 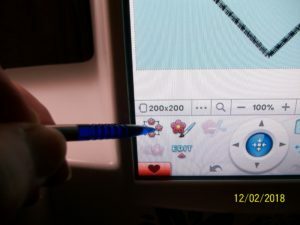 Sew along the design lines. 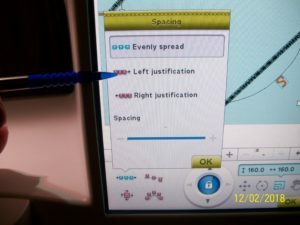 Sew slowly to keep everything accurate. Once I had finished sewing the lines I wanted to use from the design, I turned the poncho right side out and decided what areas would be cut away. 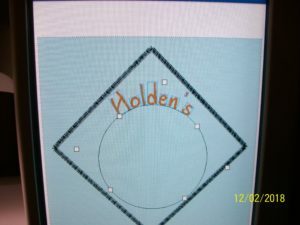 The sewn design before any trimming. 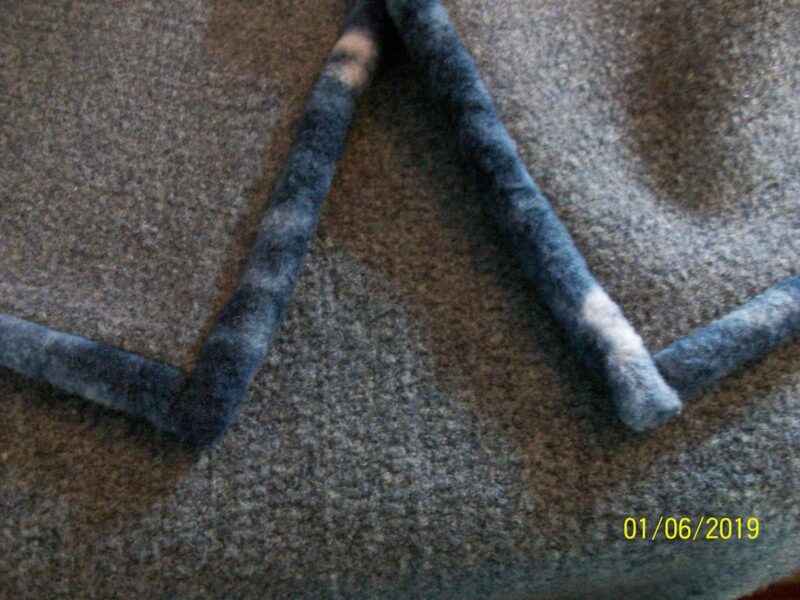 Remember, when working with fleece, keep things simple. 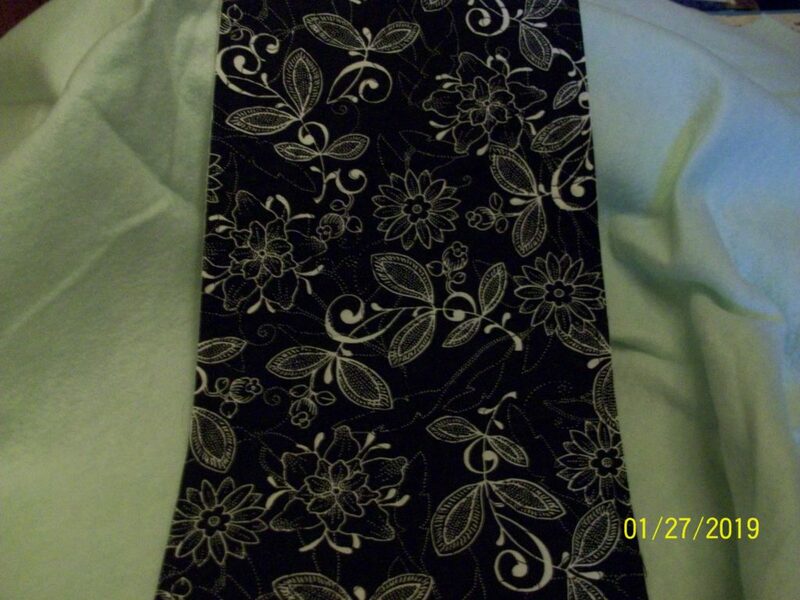 Too much detail does not work well with this fabric. 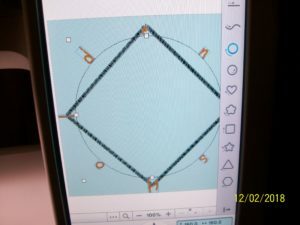 I decided to cut away the largest parts of the design. 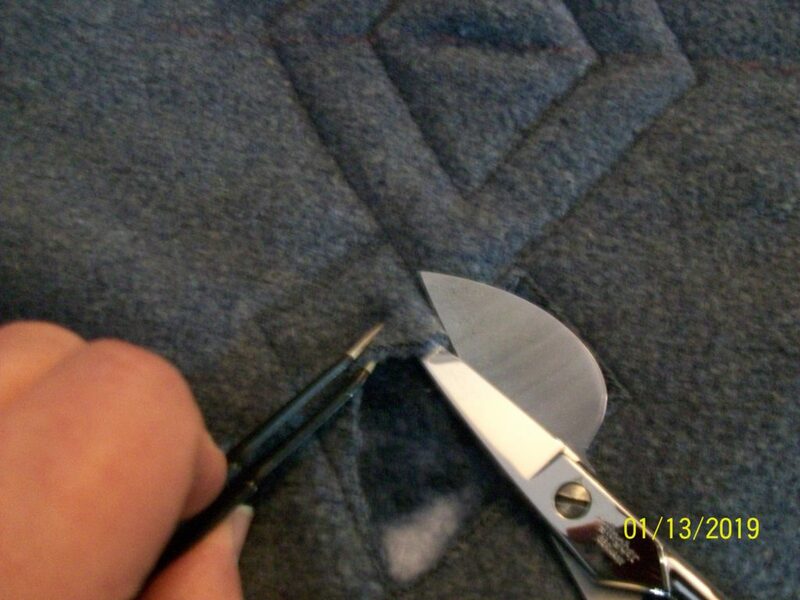 When cutting away the top fabric to expose your design, use a pair of tweezers and a sharp pair of applique scissors. Only cut through the top layer of fabric!! 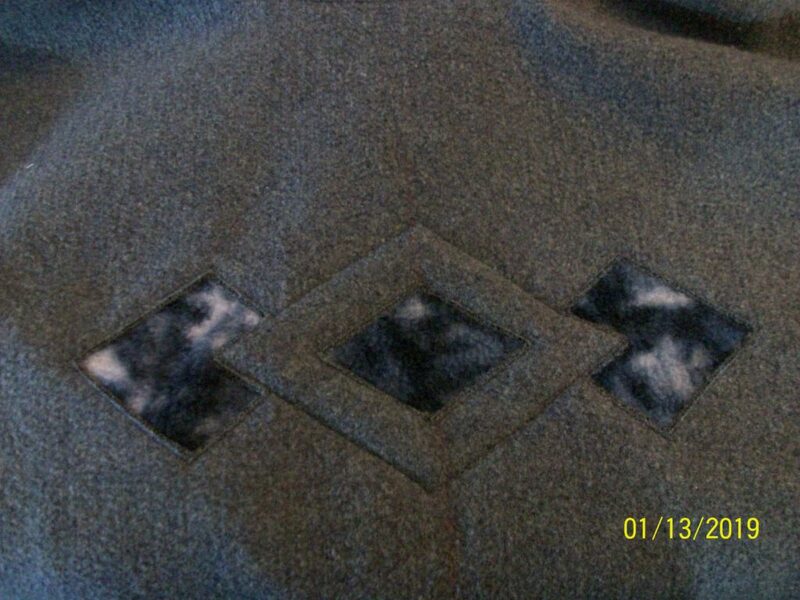 The top layer of fabric is cut away to reveal the accent fleece. 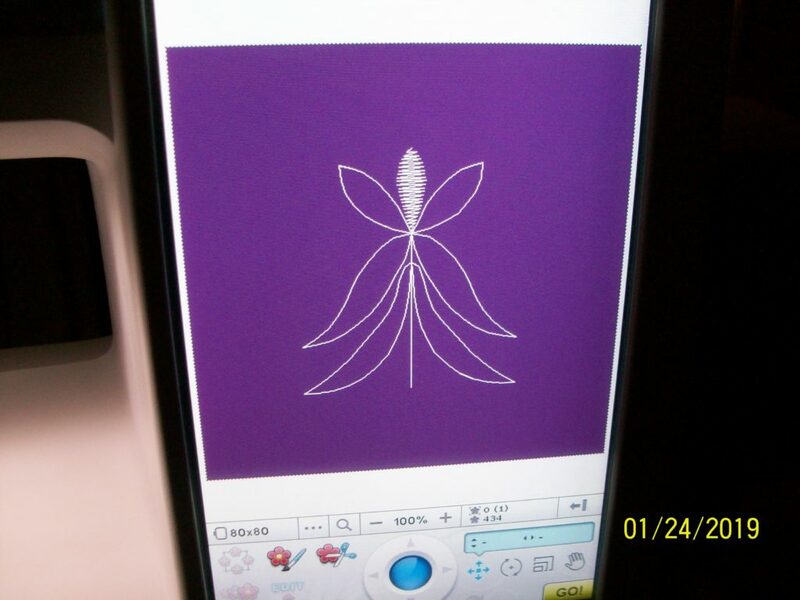 This is reverse applique. Once I had cut away the top fabric to expose the fabric underneath, I added the final embellishment stitching. I first stitched these lines from the back of the poncho, following the lines I drew from the original design onto my stabilizer. I used matching thread for my fabric so it wasn’t really noticeable from the front. 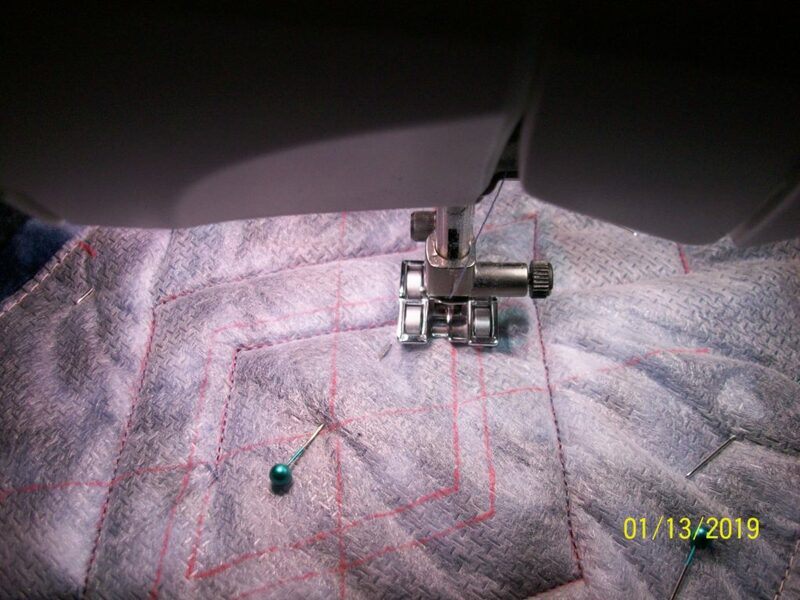 Once I had sewn the accent lines with the matching thread from the back of the garment, I changed to a 30 weight cotton thread and used a triple stitch to sew over the first stitching I had done, this time sewing from the right side of the garment. I then trimmed the stabilizer and fleece on the wrong side of the poncho to within a quarter inch away from the stitching all the way around the design and pressed everything with lots of steam. I really enjoy using left over material from one project to help create another. I don’t know if it’s the fun of using a fabric in a completely different way from what I first intended, or if it is the frugality of the practice (I’m pretty sure it’s both), but I really feel good about my “bonus” projects. Today I started working on a poncho using the left over fleece from the top I made in October to add accents in the collar and along the outside edges. 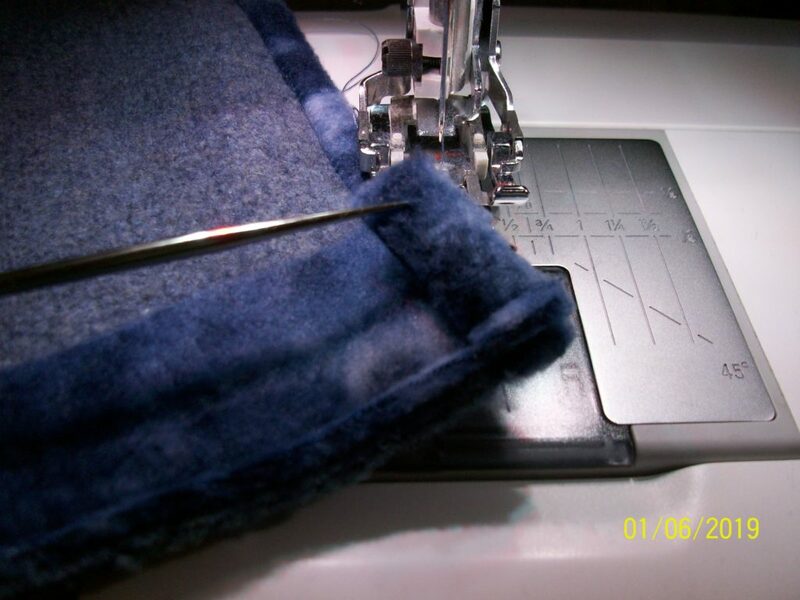 If you have never used fleece as a binding, I encourage you to give it a try. It’s very forgiving and has lots of stretch. If you know how to put binding on a quilt, you know how to use fleece as a binding for a project. 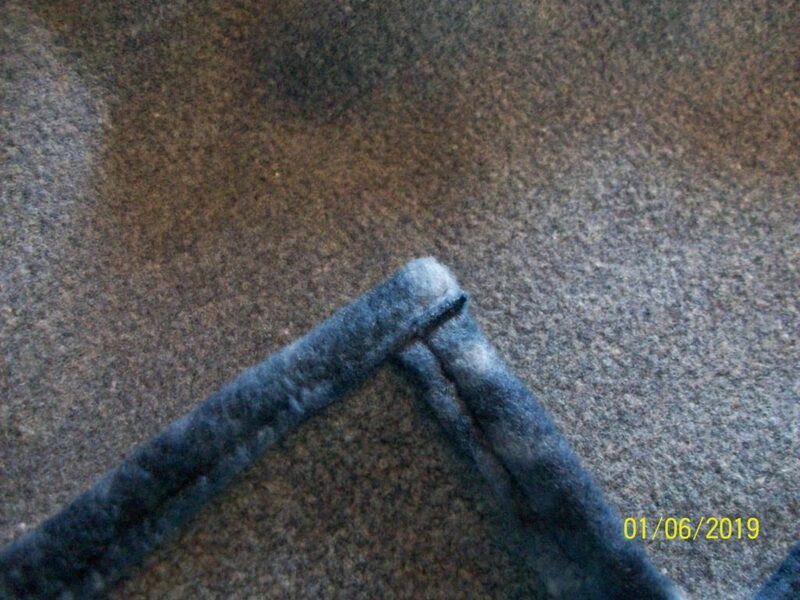 When cutting fleece binding keep in mind that most fleece is 60 inches in width, so when you cut off the selvages you will have about 58 inches in length for each piece of binding cut. 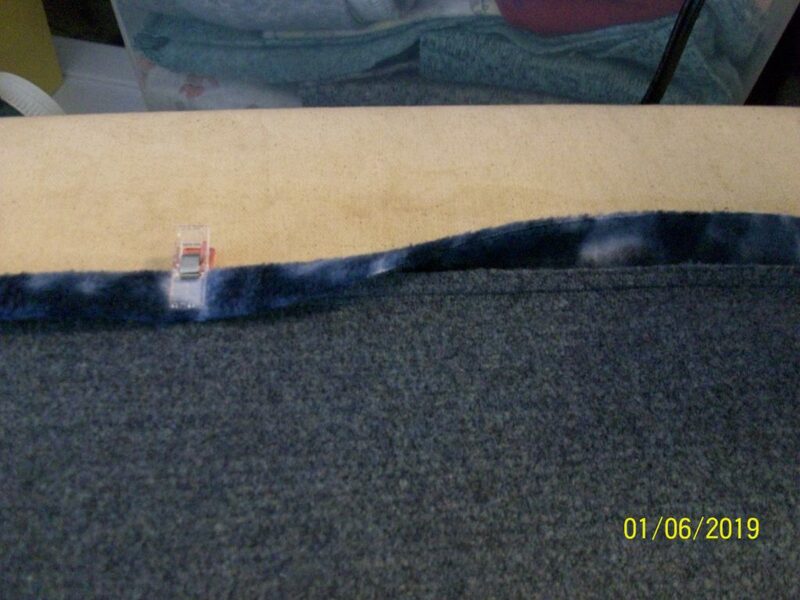 Since fleece has so much stretch, there is no need to cut on the bias; cutting on the width of fabric works fine. 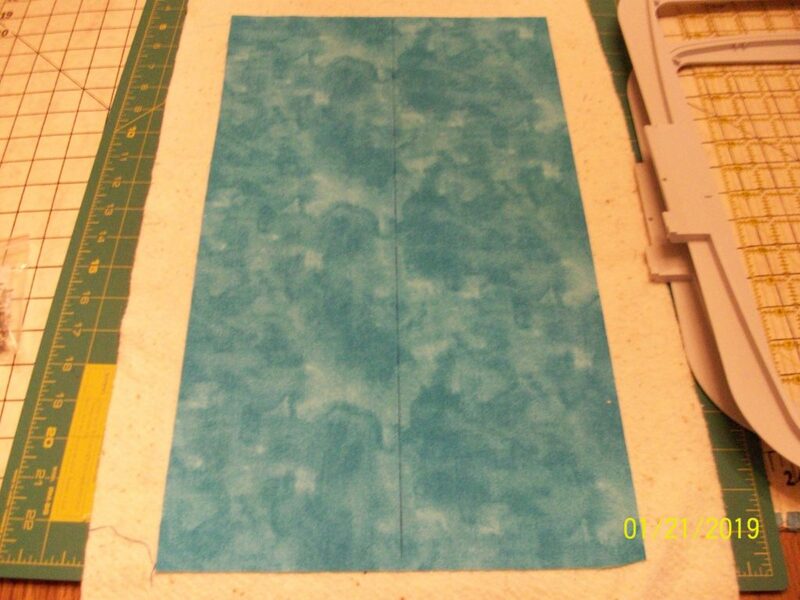 Fleece tends to get very bulky very quickly so I cut my fleece 1.25 inches wide. I do not cut the usual 2.5 inch wide binding and then fold it over before applying. 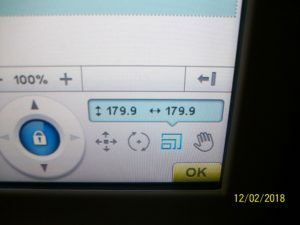 My binding is one layer. This works since fleece does not fray. If you think you will need very long runs of binding you can join strips together at a 45 degree angle just as you would for woven binding. I apply my binding to the front of the project with a quarter inch seam, using a stiletto to help guide the fabric underneath the presser foot. Next I press the seam towards the binding and fold the binding towards the back of the project, covering the seam. I use clips to keep everything in place while I stitch in the ditch to secure the binding from the right side of the project. 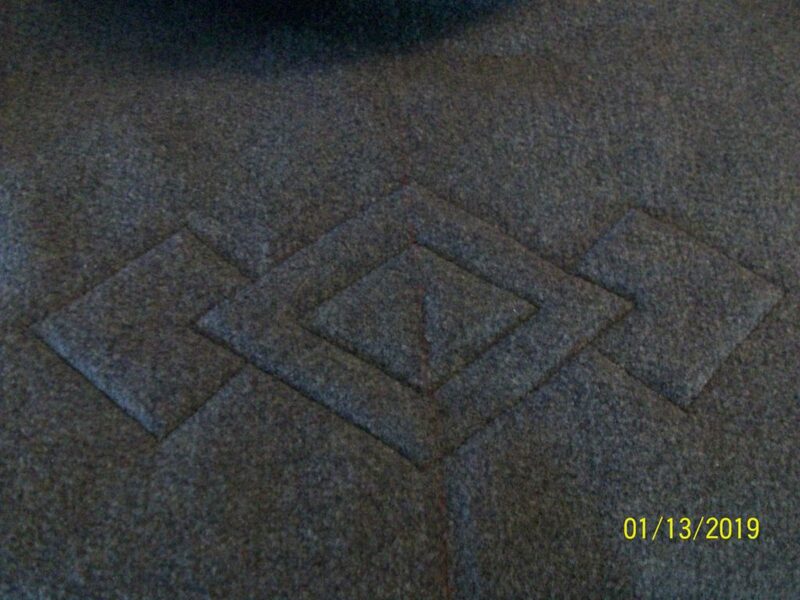 Since the fleece gets so bulky, I do not use mitered corners. I find they never look sharp. Instead, I sew the binding on one edge and, after stitching it in the ditch, I come down the perpendicular side and fold the fabric to finish the edge, folding it to the back to create a nice neat corner from the front as well as from the back. Corners as seen from the front. Corner as seen from the back. This is how the binding looks from the back of the poncho (the wrong side). You can trim the fleece if you wish, but I find that I like the crisp edge of the fleece that was cut with the rotary cutter better than an edge I trim by hand. Just keep in mind you are working with a very stretchy material, so no pulling! Also, remember to lower the presser foot pressure no matter what foot you decide to use. Presser foot pressure should be no more than a 3 on your machine’s gauge. I started sewing as a child. I wanted to make my clothes because my parents made theirs. Since I began with garment construction following a pattern was a must, especially since I was not old enough to create proportional patterns on my own. Through the years I have developed the desire to make every project my own by adding either embellishments, mixing pattern pieces or designing the project from the ground up. 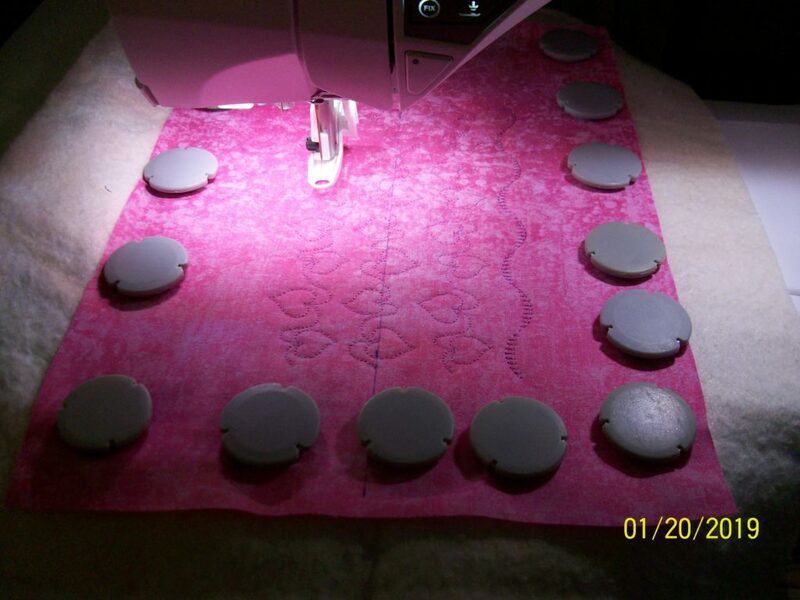 One of my favorite sewing areas in which to create patterns is in my quilting. I usually start with a germ of an idea around which the entire project grows. 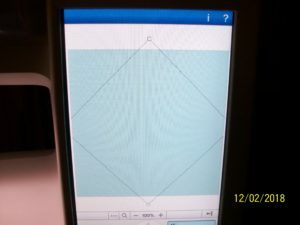 If you are an experienced quilter you have, no doubt, created your own patterns for your creations. 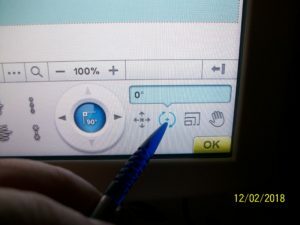 If you are new to this skill, I encourage you to take advantage of the pleasing effects that will be achieved by following the Golden Ratio or the Fibonacci number sequence. It is a mathematical way of creating proportions that are pleasing to the eye that is found everywhere in nature. 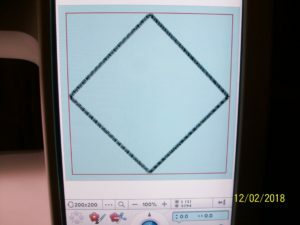 Once you get the hang of it, you start seeing the effects of the use of these techniques in all your favorite quilts. 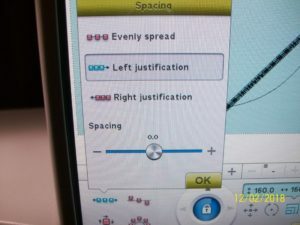 If you are interested in learning more, you may want to read what I consider to be an excellent explanation by famed quilter Jinny Beyer. I hope you will give this a try in your next original project. 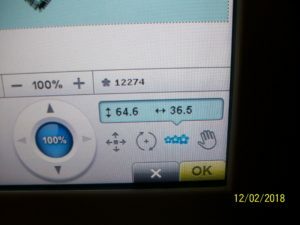 Last week I was talking to you about the Embroidery Applique feature on my sewing and embroidery machine. Embroidered applique can be used anywhere you would use a traditional applique, but I think the most satisfying use of the feature is on appliqued quilt blocks. This embroidery feature allows you to make multiple appliqued blocks with the precision of the embroidery machine, saving time and keeping all the blocks uniform. It’s also just fun to do. 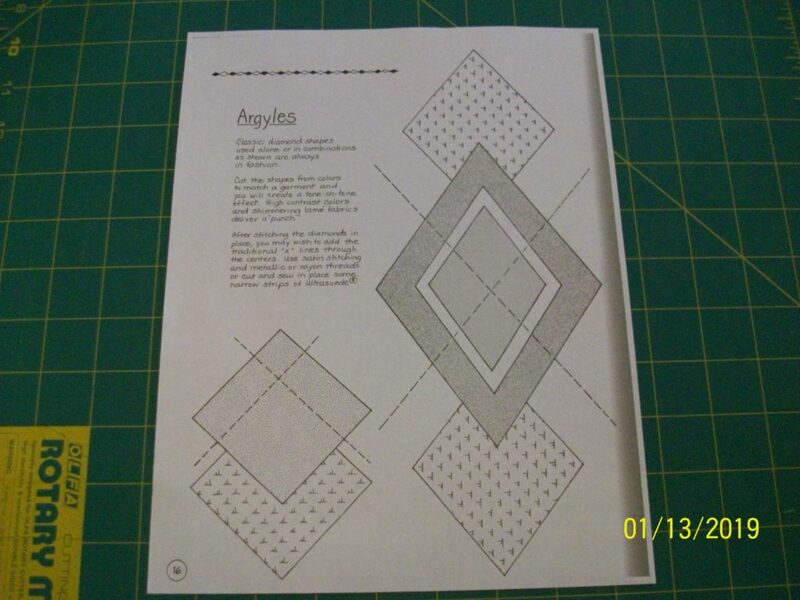 Applique designs are quite prevalent online and come in all styles for all types of uses. 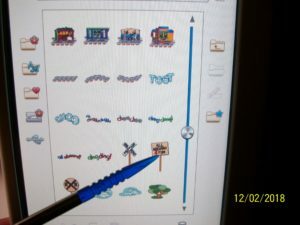 Designs range from very simple to very complex, but they all use the same basic techniques to create the finished applique. Once you have done a couple different blocks, you will feel confident enough to tackle even those that look very difficult. Only you will know how easy it was to assemble! Here are two Heirloom Creations videos to demonstrate this fun technique. 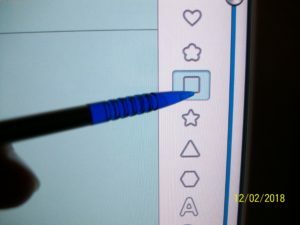 The first video demonstrates a simple applique. The second video demonstrates the Mariner’s Compass. I hope you enjoy the videos. Also, it’s that time of year again when I will be suspending my blog entries for two weeks. I will be back on December 30th with all new tips. 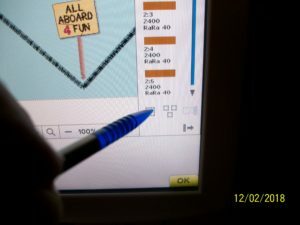 In the meantime, you may want to check out the current blogs for the Pfaff, Husqvarna Viking and Brother machines. They have some fun new projects to try. Have a wonderful holiday season! 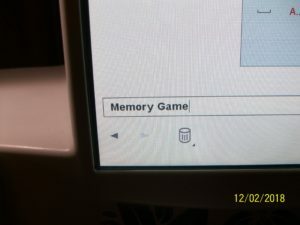 When I bought my latest sewing and embroidery machine, there were a number of features that I thought I simply would not use. 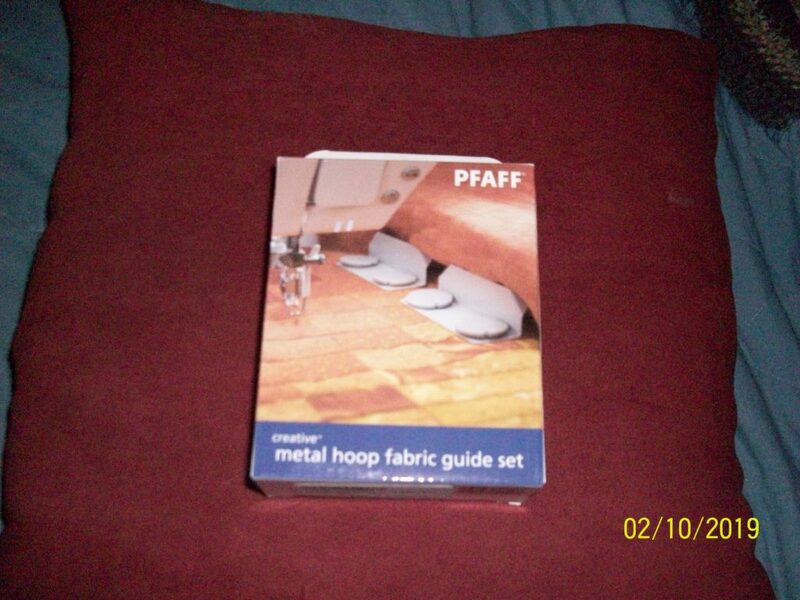 I knew what types of projects I sewed and those features didn’t fit into what I had been doing. Of course, because I now had the features, I began to use them! 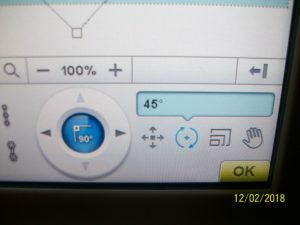 Two of those features are Design Applique and Design Shaping (on the Pfaff machines they are rolled into one feature called Shape Creator). 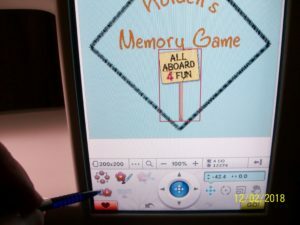 On both machines this feature allows you to design an applique background in shape, size and orientation and then place lettering or embroidery designs on that background. 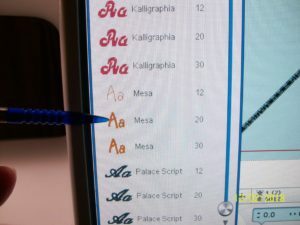 (If you are looking for a machine that will create an applique in the shape of a specific embroidery design, you should check out the top of the line Brother machines!) 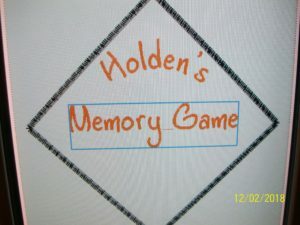 I am creating an embroidered memory game for my nephew’s four year old son for Christmas. 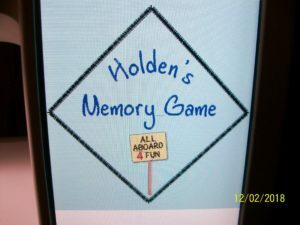 I will be creating the game and then will make a bag in which to carry it all. 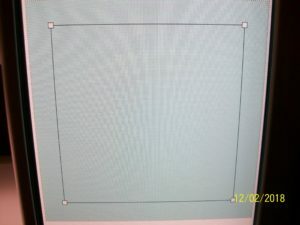 The following pictures demonstrate how I created the applique for the front of the bag. 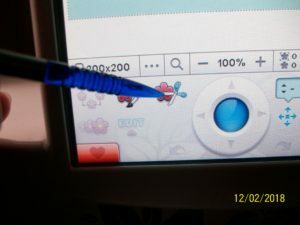 I started by entering Design Applique. I chose the shape I wanted and then rotated the shape until it was on point. Once on point I adjusted the size from 226 mm to 179.9 mm. This now fit nicely into my 200×200 hoop. then rotated it to the top of the circle. 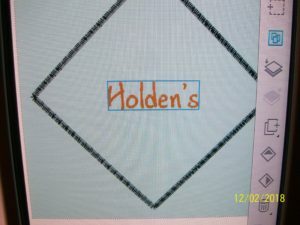 Next I resized the name so it would fit into the applique area and moved it to the place I wanted. 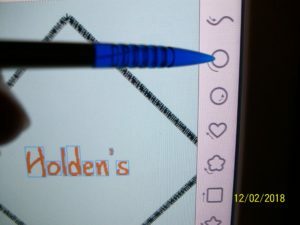 I went back into my fonts to create the next words and brought them onto the screen. 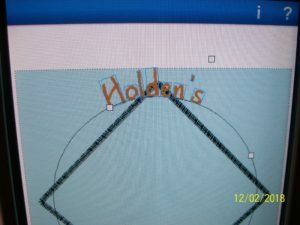 After making sure the lettering was where I wanted it, I brought in an embroidery design. Since the design was a bit too large, I went into resize and brought it down from its original size to the size I needed. I made sure to select “Retain fill type” and voila! Last thing to do was to change the colors of the lettering from gold to blue. I selected Color Edit, Add/Remove and changed all the gold to blue in one step. 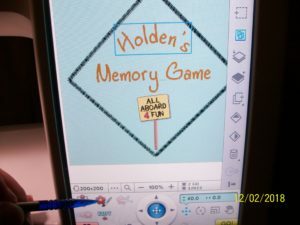 In a very short time I had created the applique I had seen in my mind and had saved it to be ready to stitch out when I make the game and its carry bag.